When a girlfriend suggested a vegetarian restaurant for dinner, we were slightly apprehensive being the carnivores that we are. So my friends and I were pleasantly surprised to find out it was a Japanese veggie restaurant offering bites ranging from sushi, tempura to soba. 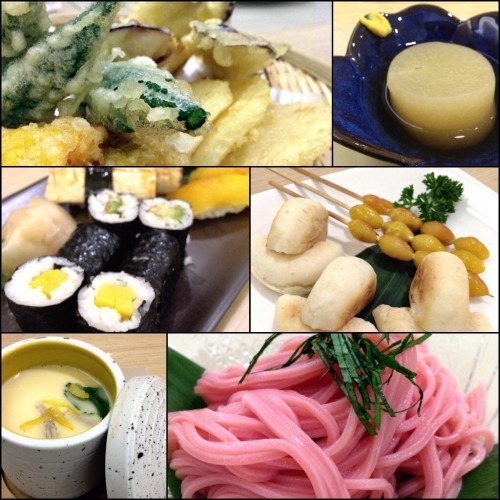 Located in Wanchai, the Isoya Japanese Vegetarian Restaurant offers set menus priced at HK$300 for 7 courses. For dinner, I believe they only serve the set menu which is written out on a blackboard in Chinese. The restaurant is brightly lit and wasn't too crowded the night we arrive. 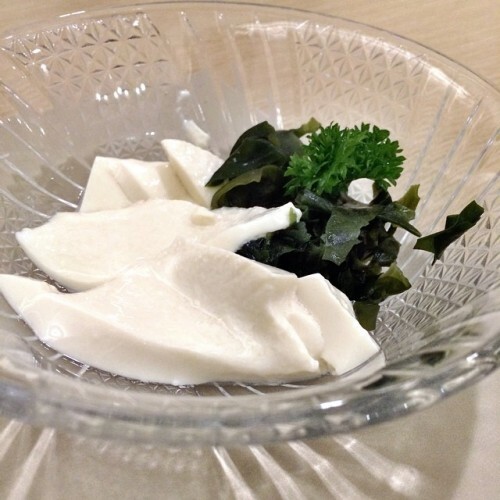 First up was silken tofu with sea weed. Served with a sesame and vinaigrette dressing, it was a refreshing way to start the meal. 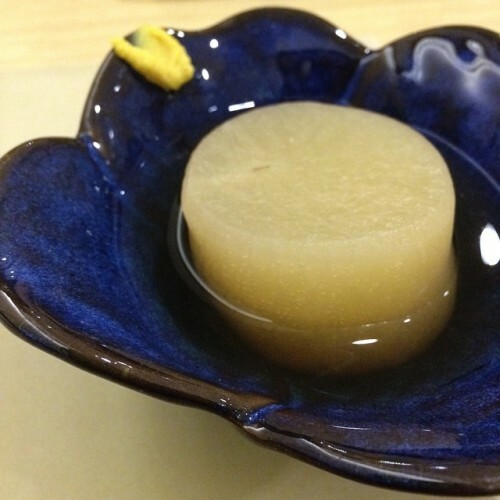 Next was the simple daikon dish that didn’t need the little dab of mustard on the edge. We then had vegetarian sushi comprising avocado, radish, capsicum, mushrooms etc. 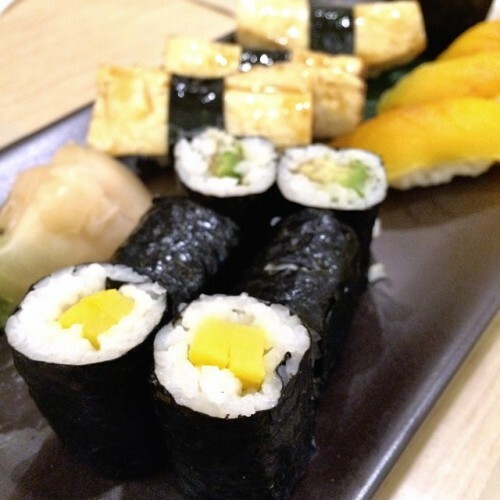 The capsicum sushi was scored in a crosshatch pattern and slightly roasted. My fav out of the bunch. 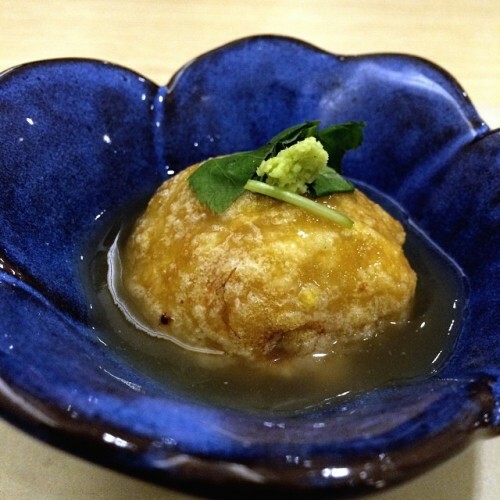 Fried cheese mochi and ginkgo. 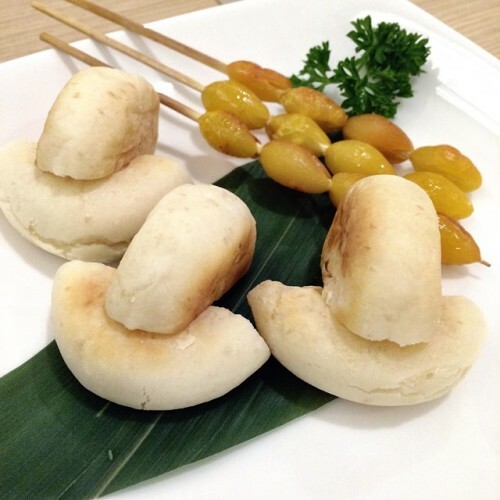 The cheese mochi was one of the better ones I’ve had in town. 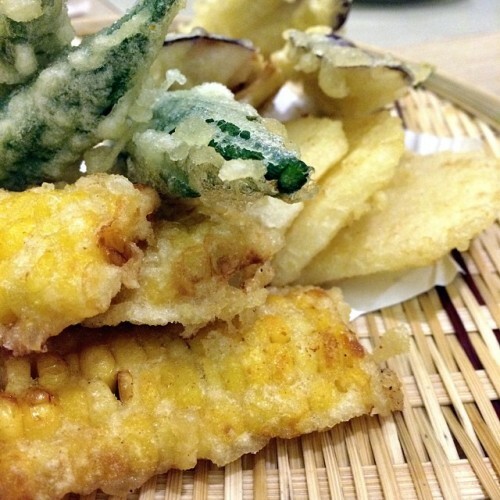 Vegetable tempura medley with daikon, okra, eggplant and super yummy corn. 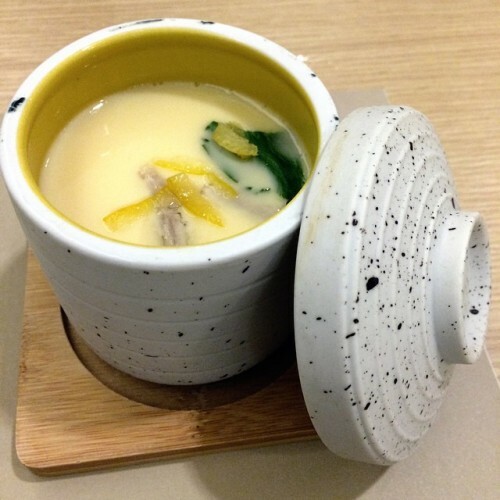 Yuzu chawanmushi. Quite smooth and the yuzu was a nice touch. I'm still not too sure what this is. I think the skin is tofu and the inside is a sweet potato filling. Not too memorable regardless. I found this quite interesting. 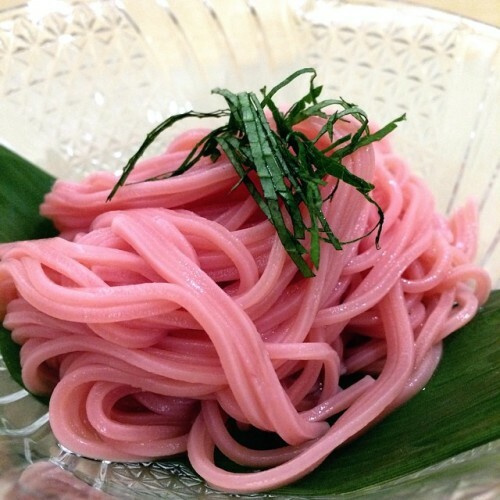 A bright pink Ume soba. Lovely tang and perfect for a hot humid summer’s day.